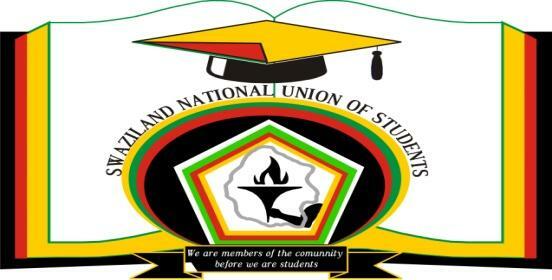 The objective of this press statement is to highlight the essence and objective of the numerous protest actions by students in tertiary institutions following a meeting of all SRC in the country under their umbrella body, SNUS. SNUS is a membership based organisation which seeks to unite students in all higher institutions of learning in Swaziland for purposes of creating a strong, united and vibrant student movement geared to confront the socio economic and political challenges of the country. On top of the organisation’s agenda is to advocate for an education policy that will be informed by the economic demands faced by the country and the democratisation of our society. Over the past days SNUS has been engaging on a protest action against the evil, backward, undemocratic and barbaric system of royal supremacy-tinkhundla which does not recognise students as major stakeholders in the education sector and does not include students in the decision-making process because students are viewed ‘kids’ who must be parented without any input from them. Mswati’s government keeps on imposing things to the students of Swaziland, the latest being the mooted scholarship policy currently in draft form. We are faced with a government which does not care about our education and has continued to feed the Swazi children inferior and irrelevant education that deprives them a good life. This is evidenced by government spending in the education sector which over the years has shown that that education is not a priority in this country. SNUS has in the few months mobilising in the different institutions and has held a series of meetings with SRC and ordinary students to discuss about the catastrophic scholarship policy which will render education a preserve for the few thus shuttering the dreams of many a student. Following a mass meeting held at Bosco Skills Centre in Manzini students therefore resolved to engaged on a two day protest action against the proposed scholarship policy, to demand that SNUS be registered officially, demand that government pays for all pupils at Primary school as per the constitution’s requirement and that government increase personal allowance for students. In its current form the scholarship policy will make education to a privilege which only the affluent few can access. It shall reduce education to a commodity that can be bought and sold at the behest of the wealthy in our society. The students marched to the Minister of Labour and Social Security on the 1st day of the picket, (Monday 01 February 2010) and then to the unconstitutionally appointed Prime Minister of Swaziland, infamously known for not respecting the rule of law. Unfortunately on the second day of the picket (Tuesday 02 February 2010) Mswati’s arrogant and pathetic administrators indefinitely closed four colleges adding to the already closed UNISWA. Thus, as a consequence of this irrational decision, the number of closed tertiary institutions rose to five leaving the union without an option but to temporary suspend the protest action because the closure disorganised and paralysed the struggle. The temporary halting of the marches was done to device another strategy to push government to address the Union’s demands. We have since mobilised the workers of the country under SWAZILAND FEDERATION OF TRADE UNIONS [SFTU], SWAZILAND FEDERATION OF LABOUR [SFL] AND SWAZILAND NATIONAL ASSOCITION OF TEACHERS [SNAT] to join so that we could have a general strike that will render government ungovernable and impossible to operate till our demands are met. Following a meeting held on Thursday of all SRC’s in the country we resolved that on Tuesday (O9/02/2010) we are going to picket at the hub of Swaziland (Manzini) to sensitise our people about this scholarship policy as well as draw support from our parents, workers, civil society and other social partners so that we join forces and oppose this policy. We will also be calling for the opening of the colleges and university. We continue to call upon our parents, civil society, unions, international allies of the oppressed people of Swaziland to join us in the struggle for free education, improved personal allowances, rejection of the scholarship policy, the registration of SNUS and the opening of our colleges and UNISWA. We continue to call for unity and that all efforts be directed at pressurising the government to give in to our demands. We therefore request for financial support and solidarity from organisations and individuals to settle our current debts we have acquired in the past days as we were picketing as well as to make Tuesday a success. We have been invoiced by the transport operators who provided us with transport to ferry students to and from Mbabane where the picket was held. Any form of help will be appreciated. The struggle continues, victory is certain!! !